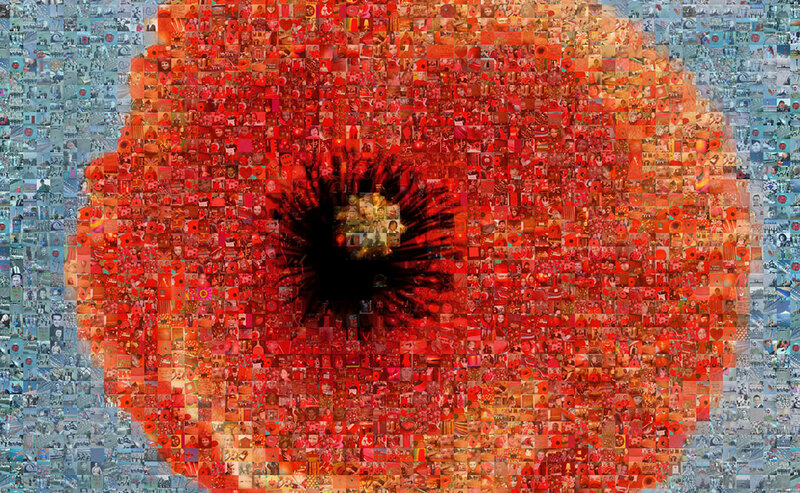 To most, the poppy is a symbol of reflection and remembrance. 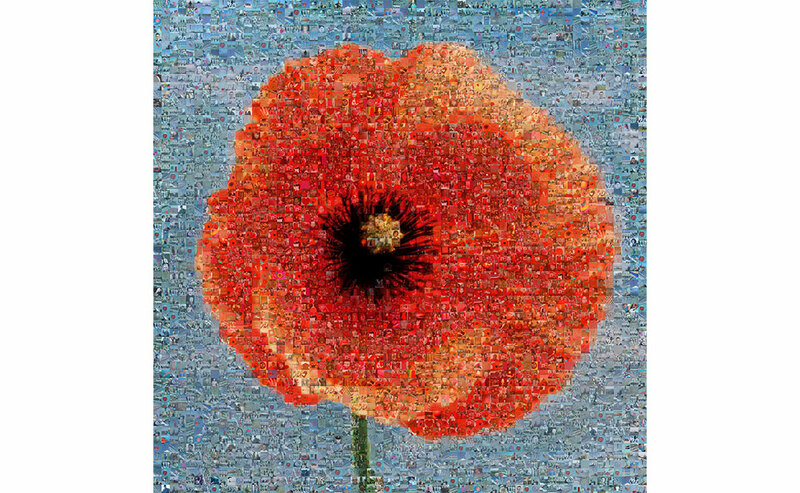 We’re encouraging everyone to look behind the poppy image to think of someone who could benefit from Poppy Support. 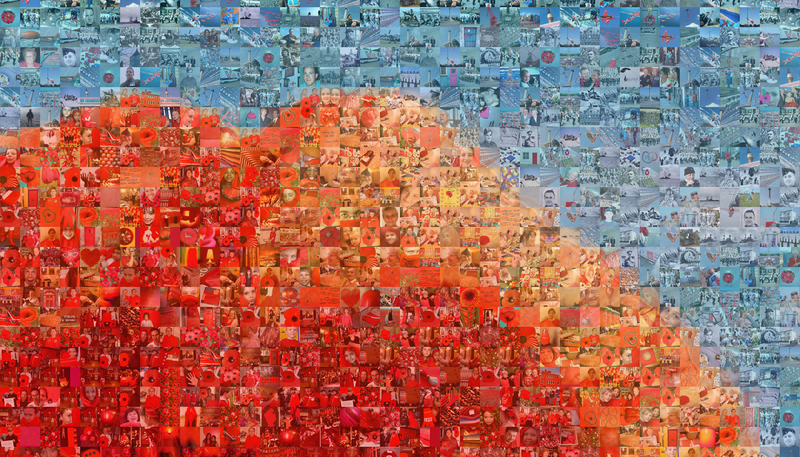 Photographs of 3,500 recipients of help from the Royal British Legion were put together to create a vast poppy to publicise an initiative by the charity. 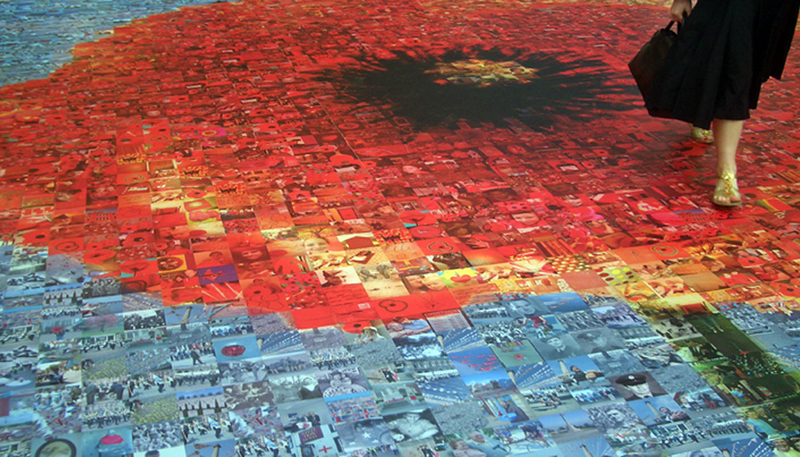 The 20 sq ft People’s Poppy was on display in June 2006 at London’s Victoria station. 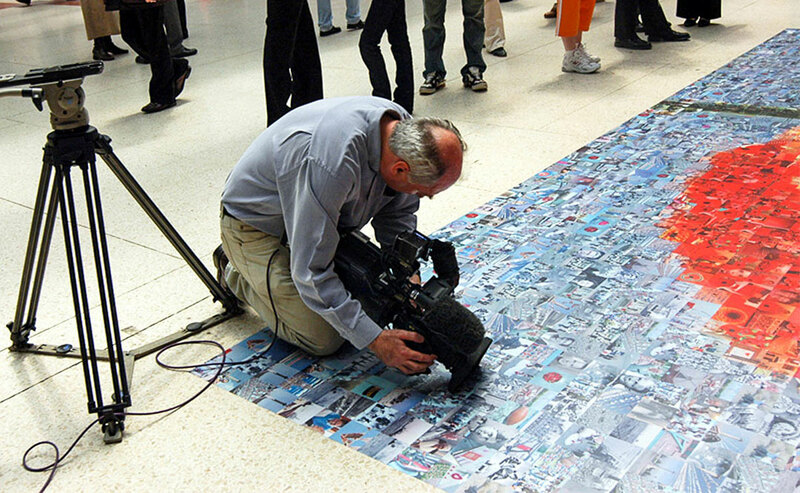 Helen Marshall collected the pictures from the legion’s historical archives and legion beneficiaries. 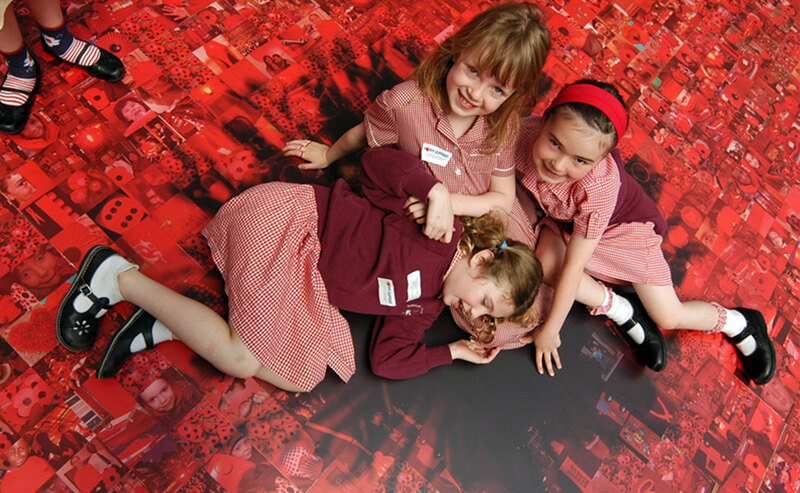 She also ran a series of photography workshops in local primary schools using the colour red which forms a large part of the image. 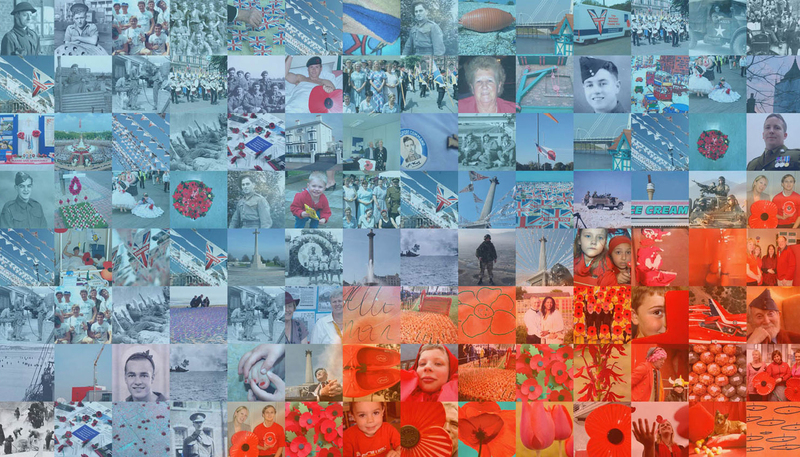 The People’s Poppy toured to Sheffield, Liverpool, Cornwall, Manchester and Cardiff stations. 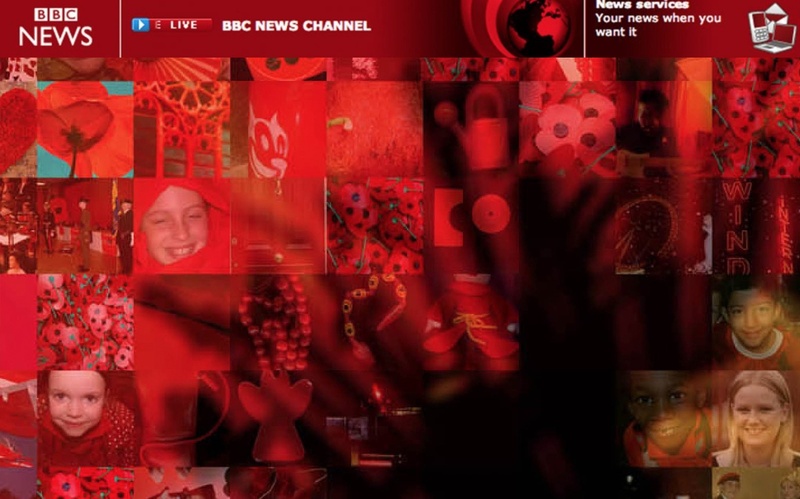 The display marked the launch of Poppy Support, an initiative to promote its services in advice, funds, homes, volunteers, holidays and travel. 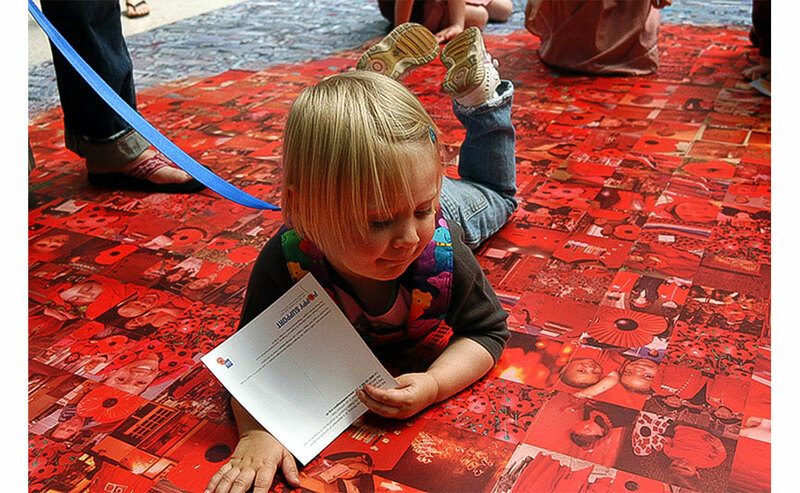 The charity spent more than £75 million last year in support of the serving and ex-service community.